Arab Fire, Safety & Security Academy offers training for fire fighter represented in Fire fighter II program . 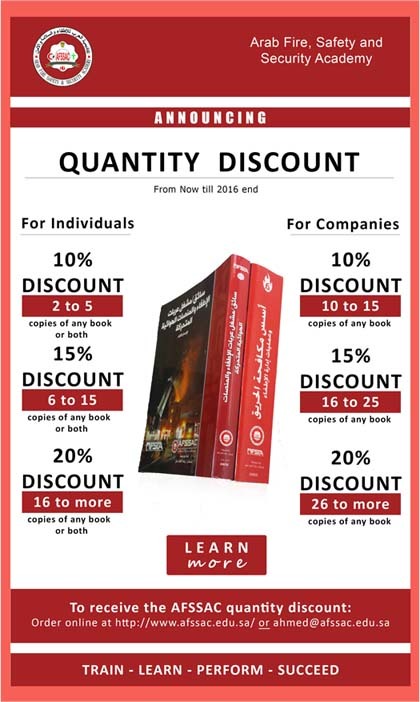 Fire fighter II program is an qualifying fire fighting program. Who should take Fire fighter II ? Fire fighter who passed the exam of fire fighter I program. Those who are assigned to check and monitor the fire alarm, detection devices and automatic fire extinguishers systems. Participants in all rescue operations . Identify the incident management system (IMS) and how to implement it and methods of transferring command in the incidents. Identify and study the fire effects on the building materials and the risks associated with them and find out the factors that determine the degree of resistance of the construction element to fire. Identify the various rescue equipment to free the trapped and how it is used in various incidents. Study the contents of the rescue vehicles and proper use of each device. Increase rescue skills in car accidents and free the trapped. Rescue from leaking of industrial gases in the workplace. Increase rescue skills in the incidents of cars of petroleum products and gas and control the spilled liquids. Search and rescue victims from burning buildings. Increase the rescue operations skills in wells and free the victims inside. Know the main rules of water flow and pressure in hoses, identify fire hydrants and how to examine and use in firefighting. Identify types of fire hoses and how to care about hoses tools and equipment. Identify the types and characteristics of the foam used in the fires of flammable liquids and their effects in the firefighting operations. Practical training on the use of foam in firefighting. Practical training on rules to control the fires of petroleum tanks, fight ground fires around the tanks, tanks vents fires and protect adjacent tanks. Increase firefighting skills in fighting flammable gases fires and take the procedures in case of gas leak without ignition. Identify early detection and fire alarm systems. Recognize various fire protection systems. Inspect and test fire automatic extinguishing systems. Inspect automatic sprinklers systems, control valves and fire tanks. Recognize source and cause of the fire and ways to identify directions of fire spread. Determine causes of the accident and how to protect evidences in the fire site. Gather information and evidences about the fire from the scene. Implement field survey for fire safety in industrial facilities and warehouses. Create confidence factor to identify methods and programs for fire prevention. Increase the skills of preparing and writing reports. _ Implementation of incident management operations. _ Construction materials and the collapse of buildings. _ Rescue and tools for extricating the trapped. _ Rescue in car accidents. _ Liquids flow and pressure rate. _ Fire hoses tools and equipment. _ Early fire alarm systems. _ Fire manual and automatic systems. _ Identify the source and cause of the fire. * Duration of the program: a month and a half – five days a week -180 training session (40% theoretical 60% practical). * Training language: – Arabic in addition to English slang terms. 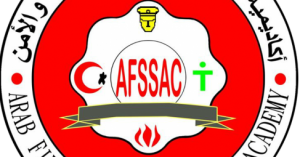 – Each trainee passes the course gets a certificate from the Arab Fire, Safety and Security Academy locally approved by the Technical and Vocational Training Corporation and internationally approved by the World Congress of Safety and Fire Services IFSAC.